We want to tell you that you are in the process of destroying the treaty. It is organising the theft of our seeds and our knowledge. We can no longer continue to give them to researchers and other prospectors that come and collect them in our fields, to then put them in the Treaty’s gene banks. As long as you do not ban all bio-pirated patents, as long as farmers do not have a right to keep, use, exchange and sell seeds from their own harvests then we will not collaborate with research and gene banks that serve the multinational seed companies. 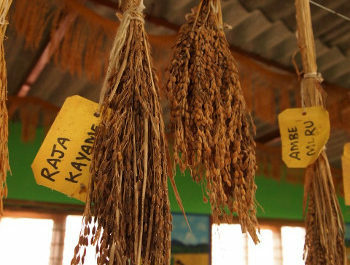 The grains kept in genetic resource banks run by the multilateral system of the Treaty on Plants (IT PGRFA) belong to us: they are our inheritance from many centuries of peasant selection, and they have been collected in our fields. However we are often refused access to peasant variety seeds because we are not researchers. Sometimes we obtain some grains on the condition that we do not use them for agricultural production: they can only be used for research purposes. We have stated that their conservation in cold chambers is not appropriate and that they need several years of new selection before the harvests can be donated in the current growing conditions. However those of us who undertake the collection the genetic resources are forbidden by laws created by seed companies in the majority of member countries of the treaty to exchange or sell them to other peasants. The treaty promised equitable sharing of the profit created in industry using our seeds for their own selections. After 10 years we have not seen this, rather a shift in the opposite direction. 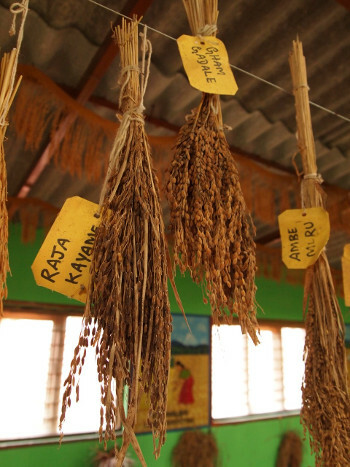 Peasants have given seeds to industry; industry never paid for them, and the little money that governments donated has not been given to peasant organisations, but has consolidated international industry’s research programmes. We gave our seeds free of charge to the seed banks, and we accept that industry uses the useful varieties. But when we use these varieties laws in the majority of signatory countries require us to pay royalties, or forbid us to use the seeds that have come from our own harvests, asserting that they are now property of industry. We inherited our seeds from our parents, we have looked after them carefully, selected and conserved them for future generations. We have given them to the treaty along with our knowledge, as we have always been proud to share the results of our work. We thought that we were protected against their being appropriated by industry property laws, such as plant breeders’ laws and patents. But now you say that you are going to launch the Divseek programme, to dissect the genetic sequences of the resources in the gene bank so as to publish them in electronic databases. This programme was not created for us, we do not grow genetic sequences, or megabytes, and we do not need this information. But industry created the search engines and software to process all of the ‘genetic information’ in their database, for it to be patented and associated with some favourable characteristic, useful for agriculture, or the industrial processing of harvests. These patents on the ‘functional units of heredity’ are already legal in many countries and they prevent us from growing our seeds, the very seeds that we gave free of charge to the treaty seed banks. We had a period of dialogue with the treaty. But despite the governing body’s decision in Bali in 2011 and in Oman in 2013, spaces for dialogue closed up, preventing us from participating in an efficient manner and formalising working groups with expert consultants, respecting our organisational autonomy. Peasant organisations that are working in their fields to implement article 5 and 6 of the Treaty on in situ conservation and the sustainable use of seeds and those that fight for the implementation of article 9 on the rights of farmers are always considered as ‘observers’, with the same statute as academics or journalists, but there are the main actors and on the front line of managing the very genetic plant resources that the Treaty defends! Yet Industry is courted and imposes its own solutions. As long as the Treaty is not reformed to fully apply articles 5, 6 and 9, we will continue to create our own multilateral system for exchange between peasants. We are calling on governments to support out movement, based on the principles of food sovereignty. SIGNATORIES, FARMERS AND GARDENERS ORGANIZATIONS – September 25th, 2015. Bio Burkina Faso, Burkina Faso. Campaña Semillas de Identidad, Colombie. CCPA, Cadre de Concertation des Producteurs d’Arachides du Sénégal. COASP, Comité ouest africain des Semences Paysannes et l’ensemble de ses membres. Farmworker Association of Florida, USA. Zimbabwe Smallholder Organic Farmers Forum, Zimbabwe. IRPAD/Afrique, Institut de Recherche et de Promotion des Alternatives en Développement, siège Mali.